We’ve talked before about the evolution of WordPress since it‘s creation in 2003. From humble beginnings to Internet dominance, WordPress now powers more than 30% of the internet. It‘s no longer just for bloggers. Big names like Disney and The University of Florida now use WordPress as their content management system. The growing popularity of WordPress can be attributed to it‘s adaptable style as a platform. One of the primary contributing factors to its versatility is its nearly 56,000 plugins (at time of publishing). WordPress has a plugin to suit nearly every conceivable need you may have. But with that many choices, you’re likely to get overwhelmed. Our goal with this article is to demystify the selection process by highlighting the top plugins used by marketing professionals. And we’re taking it a step further. You could perform a search for the best plugins and you’ll likely find the same ultra popular choices listed repeatedly. Instead, our list will highlight some lesser-known plugins that top marketers are using to grow. You’ve likely heard about the Yoast SEO plugin. With over 5 million downloads, it’s the most popular option for improving search-ability of your posts and site pages. However, it’s not the only option and depending on your needs and experience level, it may not even be the best option. The SEO Framework provides a comparable alternative to Yoast with a 10 minute guide that guarantees to have you “ranking in no time.” This plugin also offers multiple extensions to help you dig deeper and continue to improve your ranking. There are various pricing options, topping out at $299 per year for their enterprise solution. For those with more experience in SEO, Project Supremacy V3 offers a more in-depth and analytical approach to SEO. Some of their tools cover site schema, keyword ranking and other metrics designed to help you pinpoint trouble spots in your network and fine tune them to improve your ranking. In addition, they offer a full arsenal of security features including site backups and recovery options as an all-in-one solution for site optimization. PSV3 offers several pricing options. For agencies, the best deal is $1267 for the year. WP SEO Structured Data Schema specifically focuses on schema. If you’re in need of a refresher, schema markup is code placed on a site which enables search engines to return more precise results for its users. Definitely for the more experienced user, ready to take your search-ability to the next level. You’ll find pricing less expensive for this plugin- starting at $49 for the pro, single site version. We all know content is king and staying organized and consistent is the key. Editorial Calendar is a free plugin that allows you to organize and schedule your posts and see them all at a glance right in front of you. EC allows you to drag-and-drop posts and adjust publishing dates and times. Need to make changes? You can edit your posts right from the calendar and manage your blog without having to toggle across multiple screens. Kraken is a tool that uses algorithms to optimize and compress your images, saving you bandwidth and storage space. The noticeable difference in page load time will be well worth the extra effort spent along with your sites optimization best practices. We’ve discussed how page abandonment and revenue can be significantly impacted by a matter of seconds. The best performing content contains plenty of visuals, just make sure those visuals aren’t benefiting your content but hurting your bottom line. Speaking of the bottom line, at just $79 a month for Enterprise use, it’s a practical solution. Social Warfare allows you to add social sharing buttons to your content which can increase your website traffic. Designed with site performance in mind, its developers claim their plugin will not add to your loading times like other similar plugins. In addition, there are several customization options and placement options which allow you to experiment until you’re happy with the results. The price for this tool varies from $29 to $349 per license depending on how many sites you need it for. Algolia uses full suite APIs to help you develop a individualized experience for your customers. It takes their search query, determines the customer intent and delivers the most relevant results, ensuring a positive experience. It’s designed with the developer in mind and allows fine-tuning of the code to get even more precise results. Their various price tiers make this an option for everyone, ranging from $35 to $3,500 per month depending on what features you need. Popup Maker helps you increase your subscriptions and conversions by creating pop-ups to capture your customer information. It also allows you to decide how and when a customer will receive the pop-up with customizable triggers. Some of your options include: load, click, exit intent, scroll, hover and inactivity. For agencies and enterprise who experience more traffic, the platinum plan offers a yearly subscription for $227. Hello Bar is another option to help you capture customer information. The Elite version, at $99 per month, allows you the most customization power. At this tier, you are allowed unlimited pop-ups and subscribers as well as the use of their premium design features. Also, there is nearly limitless integration abilities to improve efficiency between programs. Simple Author Box is a plugin that provides you with the option to add a responsive “meet the author” box at the end of your posts. It shows the author name, a gravatar and description. In addition, they offer over 30 additional social profile fields so you can individualize and highlight each writer on your blog and how readers might find them. 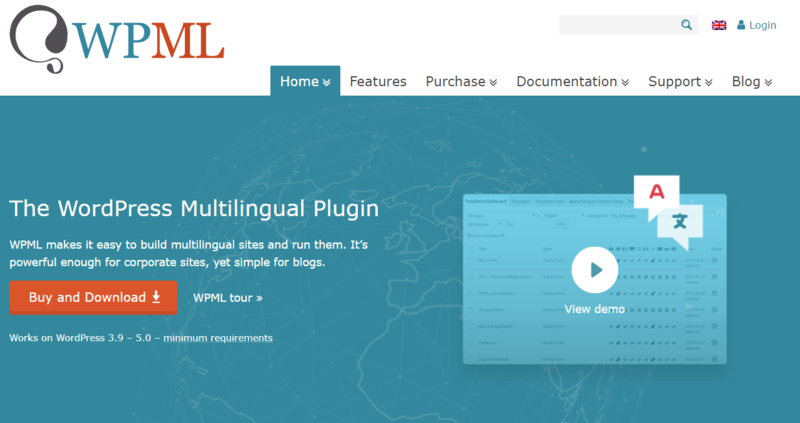 WPML, or WordPress Multilingual allows you to translate pages, posts, custom types, taxonomy, menus and more into multiple languages to make sure language is not a barrier between you and your customer. For those worried about potential complications with other plugins, WPML’s site states that every theme and plugin that runs on WordPress is compatible with this plugin. Agencies can purchase this plugin for $160 and renew it for a yearly price of $119. Visualizer is for the marketer who wants to use data to fuel conversions. This plugin allows you to create and embed interactive charts and tables into your posts and pages to better convey value to your customers. Simply import your spreadsheets and choose how the data will be displayed. WP All Export lets you export data from posts, pages, users, or any custom post type to an XML, CSV, or Excel file. You can also organize your export file so that you only see the data you need. They designed this plugin to handle large amounts of data with ease, transferring even hundreds of thousands of records to your file. 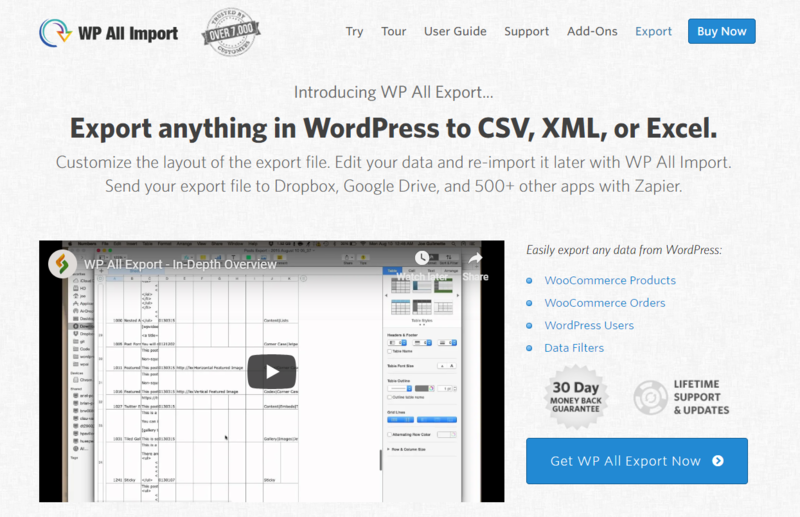 In addition, you can export page data, edit it in your spreadsheet program and then re-import it to your site with WP All Exports twin: WP All Import, making changes a breeze. In conclusion, not all plugins are created equal. Popularity isn’t always an indicator of superiority. The WordPress plugins we’ve discussed here have 100,000 downloads or less (competing against others with over 5 million downloads) and yet, they’re game-changers for the marketing professionals we talked to. So if you’re ready to step up your marketing skills, think outside the box and give some of these lesser known options a try! I'm a Freelance Writer & Marketing VA currently working for Pagely, a Managed Wordpress Hosting Service. I love all things Marketing & WordPress. In my free time I love to spend time with my husband and son, watch cartoons and play World of Warcraft.